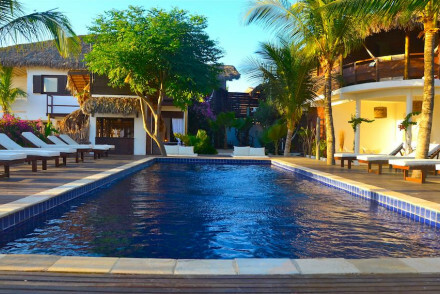 Located nearby the spectacular dunes of Jericoacoara National Park, La Villa is an excellent hotel. The rooms are stylish and comfortable, catering especially well for families. Try your hand at kite-surfing or take a dune buggy tour from the hotel. Ideal for family holidays. Great walks - Go walking and explore the fantastic sand dunes of Jericoacoara National Park. Comprised of luxurious cabanas, Hurrican Jeri is a delightful beachside hotel. The rooms are spacious and comfortable, offering guests their own private realm in which to relax. Try your hand at kite surfing or simply sunbathe on the beach. A seaside charmer. Surfing - Surfing and kite-surfing lessons are available from the hotel. Great walks - A short walk from the fantastic Serrote Hiking Trails. Local markets - Explore the bustling local markets of Jericoacoara. 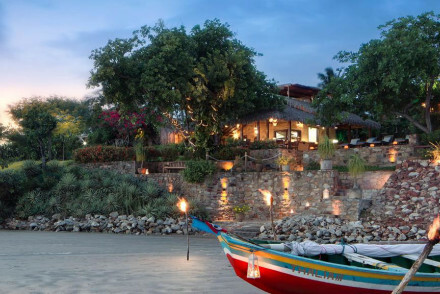 Rancho de Peixe offers individual thatched bungalows located on Preá Beach. The accommodation features furniture designed with colourful tropical fabrics and the resort boasts a large swimming pool as well as a restaurant. Unwind and forget about all your worries at this idyllic beachside getaway! On the beach - Some of the units offer beautiful views of Preá Beach, sit out and watch the beautiful sunset views. 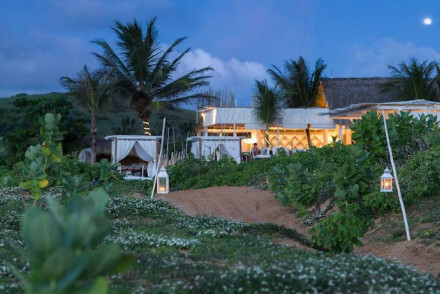 An eco-friendly Pousada tucked between Jericoacoara Beach and Sunset Dune. The bungalows are made of traditional materials, and decorated with local crafts, giving the place an authentic and original vibe. Eat freshly caught fish in the open air restaurant and indulge in pampering spa treatments. 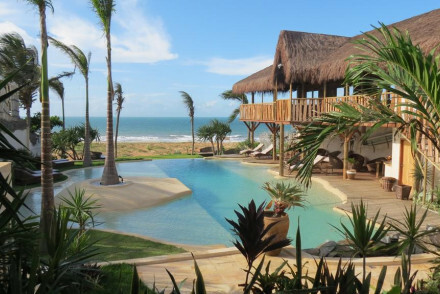 This stunning property is a step away from the beach in Jericoacoara National park. It features simple yet elegantly designed rooms each with their own balcony & colourful hammocks. The pool nestles in the tropical garden and after a beachside day, head for the spa to relax in comfort. 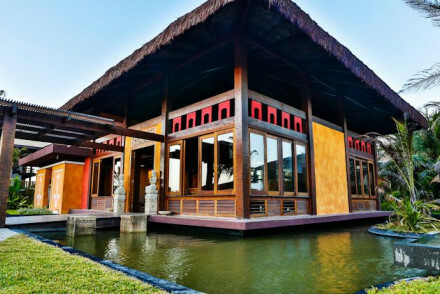 This beautiful Asian-style property boasts a beachfront location in Trairi. Its suites are spacious, elegant and simple and their restaurant serves absolutely delicious cuisine. Wander around the tropical garden or head out to the beach in this little pocket of paradise. A luxurious, relaxing stay. Tranquility is the order of the day at Vila Selvagem. 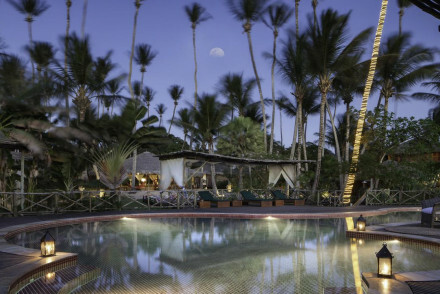 Perched on the peaceful Pontal de Maceió beach, the lodge is superbly designed to maximise luxury and comfort. Elegant rooms, a superb restaurant and a heavenly spa combine to create a sublime hotel. Sights nearby - Take a day trip to the delightful Dragao. 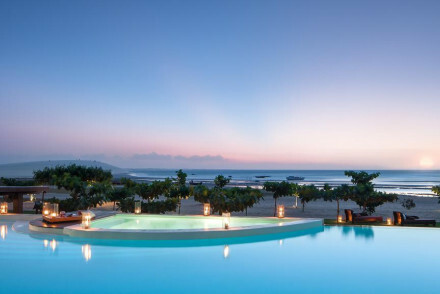 Oozing modern style and sophistication, Essenza Hotel is a luxury hotel looking out over the white sands of Jericoacoara beach. Featuring all the creature comforts of a five-star establishment, it's built for comfort and relaxation. Ideal for a romantic break by the sea. Sights nearby - Just a short walk from Jericoacoara's historic centre and close it's heritage lighthouse. Restrictions on children - Children under twelve are not permitted. 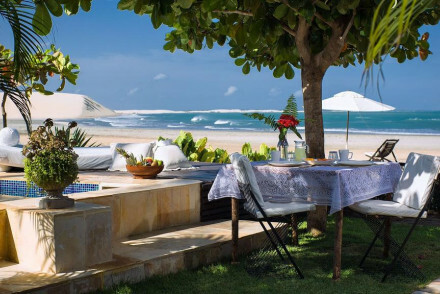 A superb five-star hotel perched on the North-East coast of Brazil near Aquiraz. Featuring all the creature comforts of a top class hotel, it's made for an indulgent, relaxing holiday on the beach. Rooms enjoy calming palettes and pleasant views whilst the large pool is the perfect place to relax. Total relaxation - With a stunning beachside setting, a deluxe spa and luxurious suites, it's perfect for a relaxing retreat. Beach Life - Situated right on Ceará´s beautiful Aquiraz Beach. Great walks - Lovely walking along the nearby Aquiraz Beach. 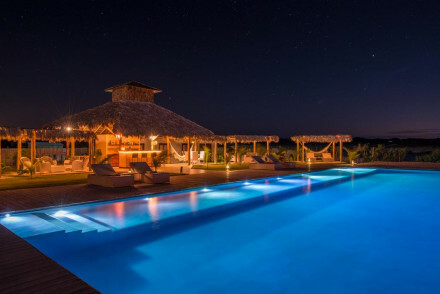 Peaceful and intimate, Casa de Areia is a luxurious vision of tranquility in the seaside town of Jericoacoara. Its rooms exude a simple elegance with warm, earthy colour schemes and stylish furnishings. Whether you're on the beach or by the pool, relaxation is guaranteed. Great walks - Superb walks in the surrounding Jericoacoara National Park. Fishing - Chartered sea fishing trips can be organised by the hotel. 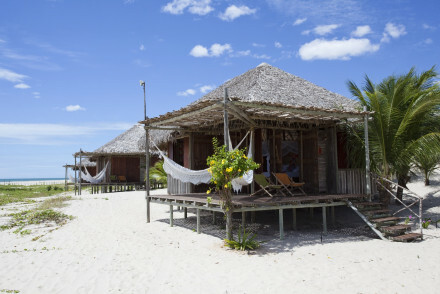 The Chili Beach hotel enjoys a beautiful beachfront location in Jericoacoara. The 6 rooms can either be rented separately or as an entire unit including cooks, maids and butlers for a truly luxurious experience. Relax by the sea with a drink and bask in your peaceful surroundings at this great spot. 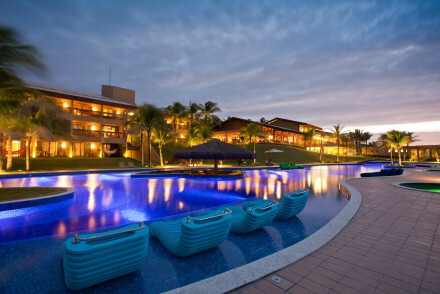 Beach Life - The hotel is located on a beach that was voted amongst the top 10 most beautiful in the world! Restrictions on children - Children cannot be accommodated in this hotel. Swimming Pool - Outdoor pool with ocean views.